Kinnaur in been recognised as the most mysterious region of not only Himachal but also of India. The socio-cultural environment of Kinnaur is so rich that anybody can be attracted unintentionally to the region. Its History, Geography , Nature and culture are so variable and bonded that especially the visitors get sensational surprise of being so strong society. The history of kinnaur is little known to the world. According to the myths there were godmans named kinners residing over kinnaur so the region is called kinnaur. According to some legends kinners are also said to be successors of Pandavas. In modern times the region was called Chini tehsil and was the part of Mahasu District before the bifurcation the district. In 1960 kinnaur district was formed by cultural,political and ethnic considerations. KInnaur is one of the smallest district of India population wise. This hill region consists of high mountains of Zanskar range of The Great Himalayas. Kinnaur shares its borders south to Uttaranchal, north-east to Tibet and north-west to Lahaul-Spiti. The sacred famous Kinner Kailash peak is very popular among pilgrims and tourists.The highest peak of Himachal, Shilla is also located in Kinnaur district. The district has very complex diversity of geography. The highly vegetated valleys, fast flowing and roaring rivulets filled by glaciers are important part of the geophysical system of Kinnaur. One of the most unexplored region of India is Kinnaur. The climate of Kinnaur is so pleasant that people once come to the place wants to stay for more and more time here. The snow covered high mountains,huge glaciers , the chilgoza jungles ,apple and grapes orchids contributes in natural beauty of Kinnaur. The climate of the valley is so pure that people usually prefer to get health benefit from the nature. Most of the region has cold climate throughout the year but the summer are pleasant at lower Kinnaur regions, so people enjoy the visit to Kinnaur at all seasons. In winters almost all Kinnaur is covered by snow but the region is still reachable by the means of transport and the valleys of Kinnaur are filled by the Indian and foreign tourists. Sarahan is situated in Shimla district but being near to Kinnaur and tourism point of view it is better to include Sarahan with Kinnaur rather than Shimla. 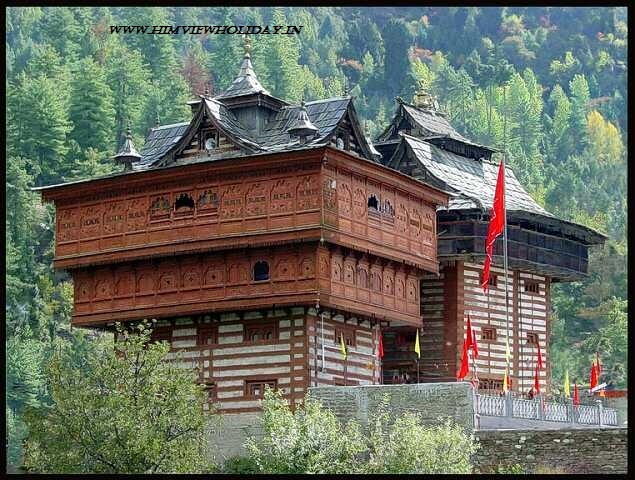 Being located at beautiful site Sarahan is one of the most sacred place of Himachal as the place has the beautiful old temple of Goddess Bhimakali. A traditionally artified group of temples this is been an attraction point for pilgrims and art lovers. The holy Shrikhand Mahadev peak is also visualised fro Sarahan. The people visiting Kinnaur starts their tour via Sarahan and never miss the place. Beautiful valley of Sangla is also known as Baspa valley as the valley exists on the banks of Baspa river. 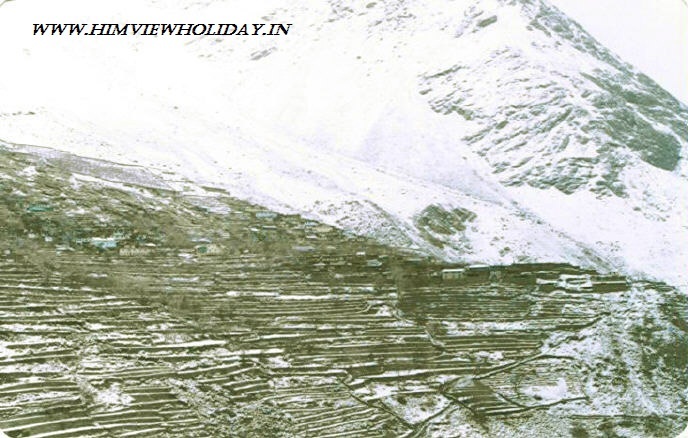 The highly vegetated valley of Sangla has plain fields that are cultivated for paddies and apple orchards. Sangla valley has the unique combination of high altitude mountains, roaring evergreen river and the plain valley with beautiful orchids. Saffron cultivation is famous here in saffron farm. The valley is very popular among foreign visitors. 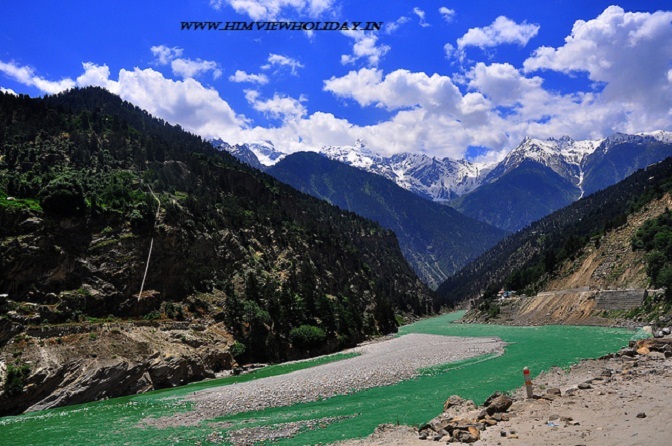 The headquarter of Kinnaur District Kalpa is a small beautiful town located on right side of river Satluj. The town has the holy Kiner Kailash peak right in front of it. Kalpa surrounded by Chilgoza trees and apple orchards is one of the best himalaya hill town. The weather at Kalpa is ever attracting for the tourists of plains to recover their health from the polluted industrial area. Near Kalpa there is a traditional village Roghi and a place Kothi where visitors usually wants to visit at the time of Kalpa visit. Another beautiful valley of Kinnaur is Bhaba valley on right ride of Grand Satluj valley. The valley consists of some beautiful villages. A manmade lake of old Rajiv Gandhi Hydro Project have beautified more the valley. The valley is flooded by numerous waterfalls. This highly vegetated valley also have the popular trekking route to Pin Valley of Spiti. A very pretty village Chhitkul is called the last village of India of the region. The village is near to the origin of Baspa river. It has a very beautiful artified Temple in the middle of the village. The village visualize the glacier fed rivulets and waterfall. 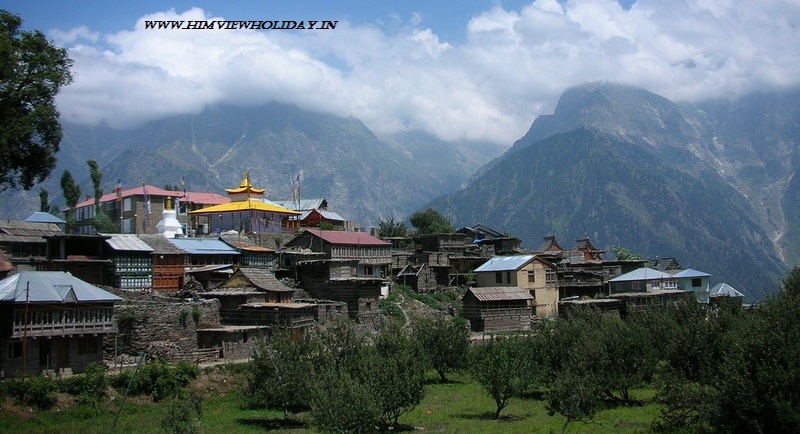 This village is the end of Sangla valley and is one of the best village of Kinnaur district. Kinnaur has one the most sacred place of Hindus and Buddhists, The Kinner Kailash. This holy peak is called the residence of Lord Shiva and pilgrims comes frequently to the place especially in the month of July-August(shravan month of Hindu calendar). The parikrama is also held in the month of Shravan. The Kinner Kailash Yatra is very popular among adventurists and trekkers. The foreign trekkers are also attracted by the place. Nako, a lovely place with a beautiful lake in the middle of village. The place is a picnic hotspot for visitors for all season. The lake side view is very popular and people prefer to stay there and enjoy the family or friends time there. Nako has become the famous tourist point on tourist map. The lake is used there of skiing also. There are numerous other tourists destinations in Kinnaur that the visitors likes to visit. The culture of Kinnaur, the customs and dress up of Kinnaur is also the attraction point for tourists. So the Kinnaur makes a complete memorable tour package within which adventurists get adventure and nature lover gets plenty of nature sites and the people of Kinnaur are too on focus for outsiders. Himview Holidays is exclusively focusing on Kinnaur for tourism purpose as the place needs to be established its marks on global tourism map. Our best tour packages for Kinnaur are cost effective and well prepared and well guided. For Kinnaur we have special Kinnaur tour package, Kinnaur Sangla Kalpa tour package,Kinnaur honeymoon tour package, Shimla Kinnaur tour package,Sangla Valley tour package,Spiti Valley tour package,Kinnaur Spiti Rohtang pass tour package and Kinnaur Monsoon tour package. Address: Sunny Cottage, Chalaunti, Sanjauli , Shimla , H.P. Our popular tour packages are Kinnaur tour package, Shimla Manali tour package , Manali tour package,Shimla tour package, Dharamshala tour package and Dalhousie tour package. We also provide honeymoon packages for all Himachal destinations.